In this article we’ll try and cut through all the technical jazz, to hopefully leave you with a clear understanding as to what qualifications you actually need to start work as a qualified plumber* in the UK. 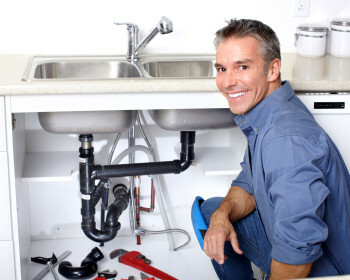 If you have no previous experience in plumbing and your goal is to become a fully qualified plumber, then you would be well advised to start out with a training course for the City & Guilds (6129) technical certificate. This course offers the foundation training for anyone who wants to train for a career in plumbing in the UK and are available in plumbing and construction training centres throughout the country. The term “qualified plumber” is a bit of a misnomer to begin with. It depends on what work you intend on doing, and the skills required, you could be considered qualified for one particular job but not another. So for the sake of this article we’ll consider the common domestic plumber (that we all used in our homes) to be the minimum standard of what is “qualifed”. The technical certificates do not in themselves prove that you are a ‘qualified plumber’; they show that you have undergone the industries recommended training. It is the practically assessed qualification of an NVQ* with diplomas of Level 2 and above that are regarded as proof that you have reached the industry set standards and have become a fully qualified plumber. However, as we explain below one leads on to the other. NVQ stands for Nation Vocational Qualification. It is a work based qualification, which you’re awarded after being successfuly assessed in a place of work by an offical NVQ examiner. The City & Guilds 6129 plumbing qualification covers all of the technical theory of plumbing you must learn as well as the essential practical skills for you to be able to start work as a plumber, doing basic plumbing installations and repairs. Training courses are widely available, but competition for places is strong especially in local colleges and on government funded schemes (where available). There are other options including dedicated training centres which offer full-time training by experienced instructors, which can get you trained up pretty fast if that is what you’re looking for. Another option could be to try to get on a plumbing apprenticeship scheme. Regardless of which route you take, the C&G technical certificate is an award that proves you have undergone the correct technical training and have been taught the skills that all plumbers would need to be considered qualified. However, after gaining the technical certificate and all the skills that go with it, the natural progress would be to now go on and get your NVQ. On successful completion of City & Guilds 6129 you would have been taught everything needed to be able to go on with confidence and gain the NVQ level 2 diploma in plumbing. 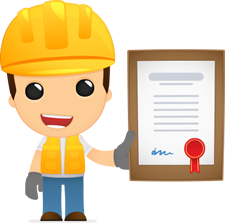 You get an NVQ diploma by undergoing practical assessments of your work, by doing various plumbing tasks carried out in the workplace (or mock work environment) under the watchful eye of an NVQ assessor. You’ll need to arrange to have a NVQ assessor come out and visit you at work doing different jobs until you build up a portfolio of work* that is enough to demonstrate your competence in practical terms to the assessor. A portfolio of work, is work that is overseen and assessed by an NVQ examiner, who you arrange to come out to visit you (at work) on a number of occasions until you have built up a suitable range of tasks to the required standards. Once an examiner has “singed off” on the required number of jobs you’ll receive your NVQ. Some training providers now arrange for you to be assessed as part of their course package, so it’s worth asking if they offer job placements (or have mock work environments) for you to be able to build up your NVQ portfolio, so you won’t have to worry about arranging work placements yourself. Once you’ve gained your NVQ level 2 in plumbing you would be considered a fully qualified plumber, and could do most domestic plumbing work. Once you’ve got your Plumbing NVQ Level 2 give yourself a pat on the back! Well done! You’ve reached the point where you can consider yourself a ‘qualified plumber’ Yay! However, there are still a few more qualifications you’ll probably want to try and attain, being though you’ve come this far and all. If you want to do most things plumbers are needed to do, for example if you want to deal with electrics and want to be able to ‘sign off’ your own work you’ll need the Part P qualification (some training providers will include the part p course in your overall plumbing training package, so check first if that is the case). If you want to be able to work with gas appliances (i.e. boilers) you’re going to have to be Gas Safe registered. To get Gas Safe registered you’ll need to take a short gas course, and gain the Gas ACS Unvented Hot water Systems and Water Regulations qualification. Similarly to the NVQ, you’ll be assessed on the job or mock work environment by a gas safe registered Engineer who will act as a site recorder and sign off on your portfolio of work. Once again there are a few training centres who will include this in their training packages, just make sure that you know if it is before signing up for your course. Well, that’s all folks!!! Well pretty much; if you wanted to be a qualified plumber then these are the qualifications that you’re going to want to get. The minimum requirement being the NVQ Level 2, additionally you may want to add on the optional extras if you want to work with gas and electrics. All depending on what you’re planning on doing, but obviously, the more strings you have to your bow the better. I hope this article has helped explain plumbing qualifications to you, and I wish you all the best in your future careers.